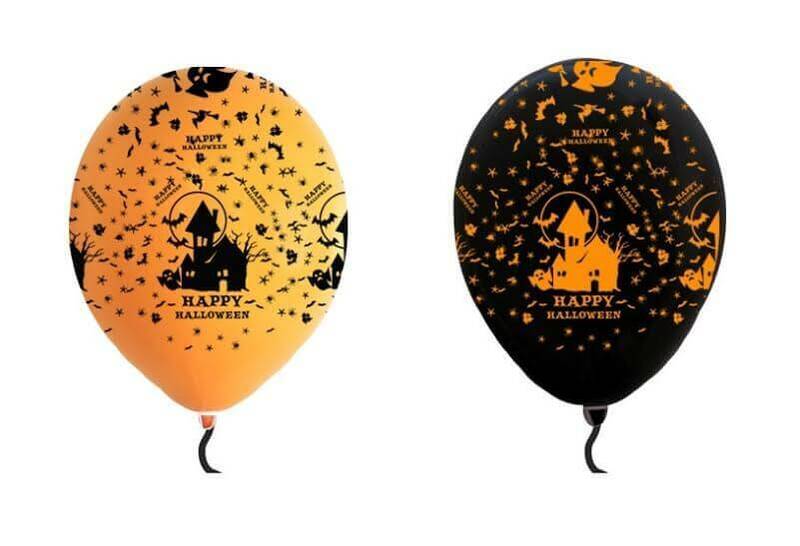 SKU: PRINTED-HALLOWEEN. Category: Pre-Printed Balloons. Printed all over with a spooky haunted house, bats, ghost, ghoul, witches. Packs of 10’s, 25’s and 50’s, 100’s, each pack will be mix of the two colours. When inflated with helium they have a float time of approx 8 hours. Please note this item is sent flatpack and requires inflation. 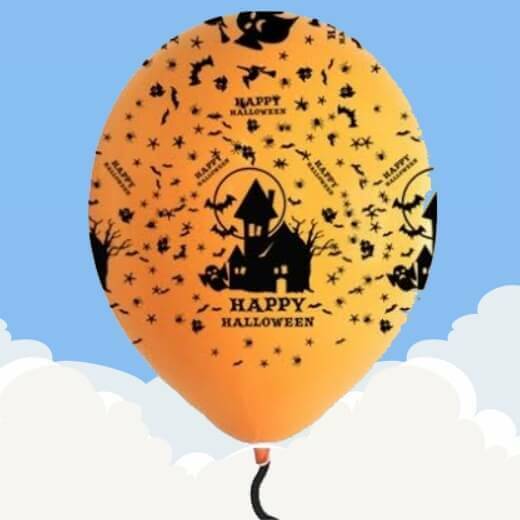 For helium, take the un-inflated balloon to your nearest greeting card shop, florist, party shop or supermarket and they should inflate it for you for a small charge.